Product prices and availability are accurate as of 2019-04-22 00:16:58 UTC and are subject to change. Any price and availability information displayed on http://www.amazon.com/ at the time of purchase will apply to the purchase of this product. 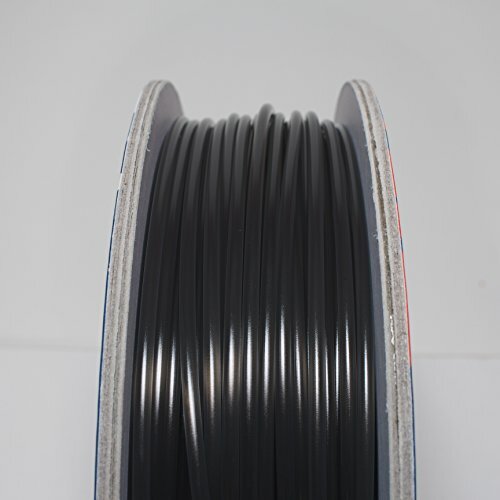 Easy-printing PLA with better performance than ABS & PET! 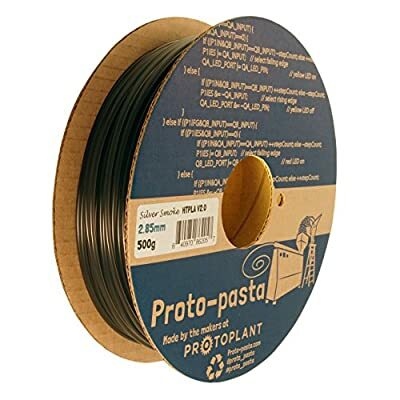 Proto-pasta's high-temp PLA v2. 0 is everything the original Kick starter version should have been. This new formulation is higher performing, more obviously heat treatable, and lower cost. This tough PLA prints with ease but has a potential heat deflection temperature (hot) of as much as 140C (285F) depending on post-processing. This means parts retain more stiffness and form at higher temperatures (no warping on your sunny car dashboard). For maximum performance, your prints should be heat treated (i. e. crystallized) in an oven until you see a change from translucent to opaque. Yes, there is an obvious visual change indicating the improved performance! We had good luck in a lab oven at 110C (230F) for an hour or less. We recommend leaving the supports on your parts, placing them on a non-radiating surface (like glass, ceramic, or composite), and letting them cool in the Oven to minimize distortion. Parts can be baked at a lower temperature (though must be above 60C for any change to occur) for a longer. These 500G spools are shipped on the industry's only fully recyclable corrugated paper spools with no metal or plastic parts. These extremely high quality spools are rigid, lightweight, attractive, and . They also have a larger than normal inner core improving printability of the last few layers of material, especially on 2. 85mm diameters. The different designs on each spool are actual drawings, schematics, and code from the equipment we manufacture your filament on. Enjoy! Contact Proto-pasta for more information.